UPDATE 10:47 UTC 50 dead & 200 injured in shooting near Las Vegas Airport police say. UPDATE 09:00 UTC The shooter fired from 32nd floor near Las Vegas Airport, 20+ dead, 100+ injured. UPDATE 07:47 UTC Limited flight activity has resumed at Las Vegas airport. Las Vegas McCarran Airport was temporally shut down due to active shooter nearby. 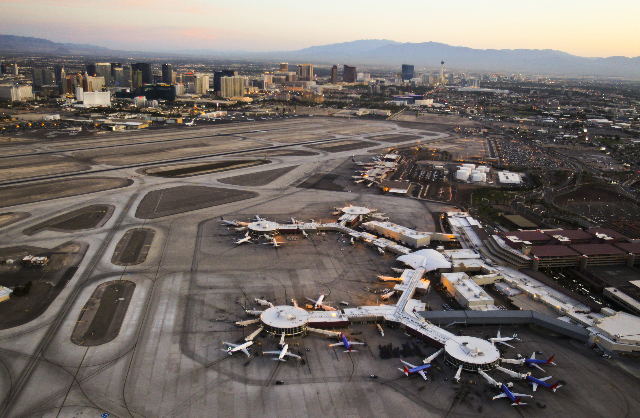 Approx 2,000 incoming flights diverted from the nearby airport serving Las Vegas.